Each new chat will be routed to the agent that are accepting chats with the lower count. If there are more then one available agent with the same count the chat will get the first in order. A new incoming chat will be routed to agent-2 and so on until all agents have one chat each. So the next round comes, starting with agent-1. Each new chat will be available on the Incoming Livechats section to all agents. So any agent can take a new incoming chat. If the agent decides to take it, the incoming chat will be removed from the incoming chats list of the other agents. You can use an External Service to integrate your own agent routing rule into Livechat. 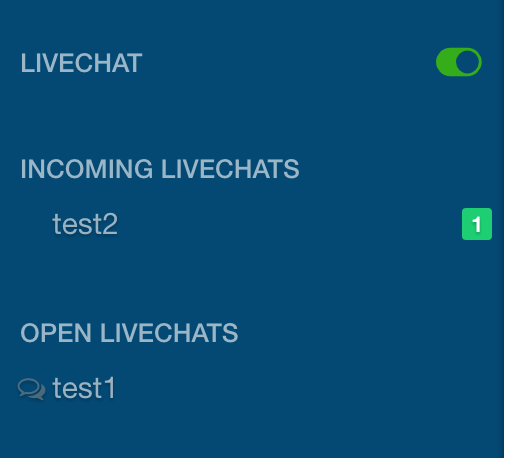 Once you set up the External Service as the Livechat routing method, you must define the External Queue Service URL and Secret Token settings in Livechat admin panel. The Rocket.Chat will send a GET request to the External Queue Service URL and the setting Secret Token is sent as a header X-RocketChat-Secret-Token, so you can validate if the request became from the Rocket.Chat. If your endpoint returns a response status other than 200, Rocket.Chat will try 10 times until it receives a valid response. 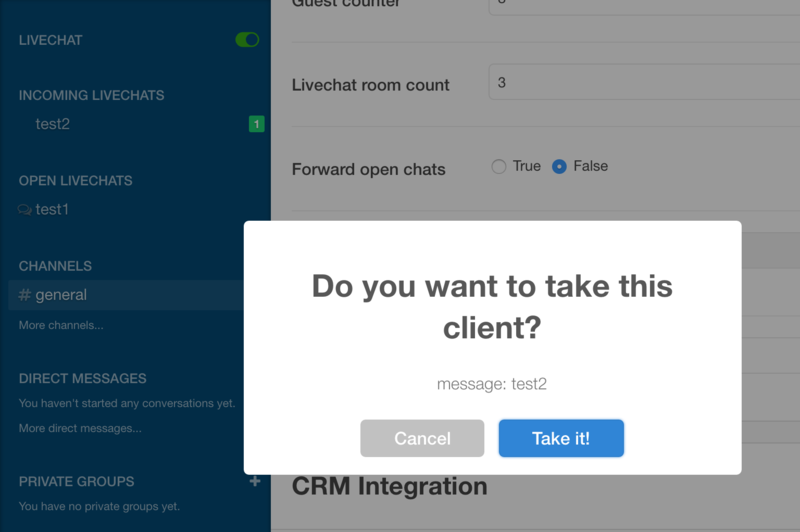 After receiving the return from the endpoint in the format described above, Livechat will check that the username field represents a valid Livechat agent and then follow the normal process flow.